Strikeforce Fedor vs Rogers will take place on Saturday, Nov. 7 at the Sears Center just outside of Chicago. This MMA event is perhaps one of the more exciting cards this year with fighters such as top heavyweight in the world Fedor Emelianenko, Light heavyweight champs Gegard Mousssai, the insane Jason “Mayhem” Miller, and former champ Jake Shields. Don’t miss out! Strikeforce will be aired FREE on national TV on CBS. This will bring awareness to help the fastest growing sport get even bigger! Fedor and his cornermen wll be sporting the RVCA Fedor signature T-shirt. These are available in Black, Red and White. They are easily one of the best designed MMA t shirts today. There is also a Fedor Hoodie version. Moussasi is one of the top Light-Heavyweights in the world and has defeated several top MMA Fighters. 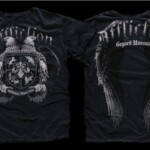 He has the Affliction Moussai Signature Shirt that features some of the sleekest graphics. 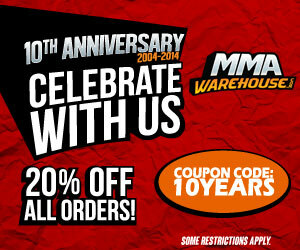 Jason “Mayhem” Miller, is one of the most popular MMA fighters. Known for his antics outside the cage he has quite the unique personality. He currently a hosts the MTV’s reality show Bully Beatdown. The former EliteXC champ is considered as one of the top middleweight fighters in MMA. 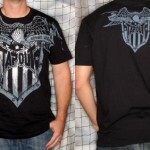 Sheilds is currently on a 12-fight winning streak and finished 6 of his last 7 opponents within the first round.Tapout has created the Jake Shields Signature tee that features a cool silver shield.